SkyGuru explains what is going on with a flight in real time mode uses professional aviation data. 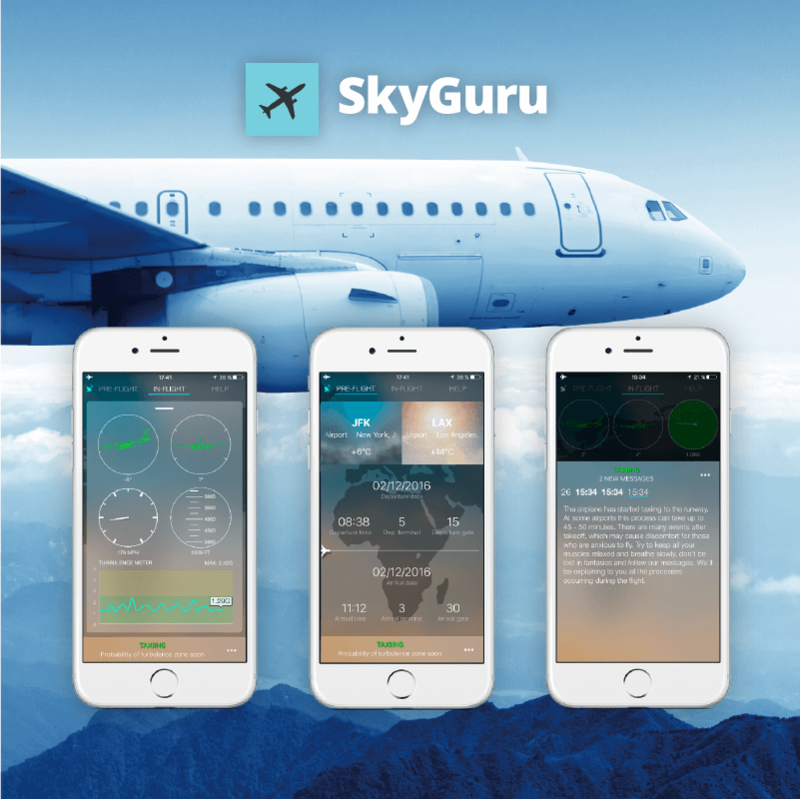 SkyGuru is the first app that merges mobile technology and professional aviation data to analyze and make predictions on flight processes, guiding passengers through the more anxiety-provoking moments in real time. 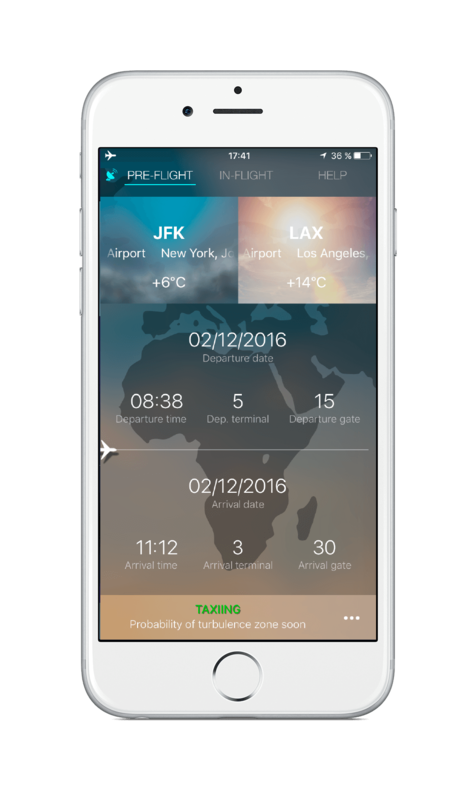 SkyGuru users have already navigated more than 3,600 flights in over 60 countries around the world. Passengers on over 100 airline companies have taken advantage of the app’s services. 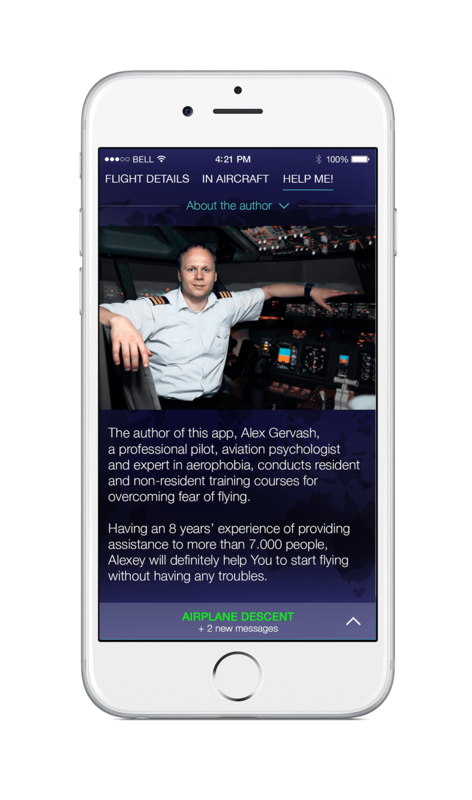 This technology took off thanks to a partnership between Taktik Labs and the app’s founder, Alex Gervash, himself a professional pilot and founder of a research and treatment center for sufferers of flying phobia. Alex Gervash, has logged over 1,500 hours as a pilot and has taken up the cause of helping fearful fliers from all across the globe for the past eight years. 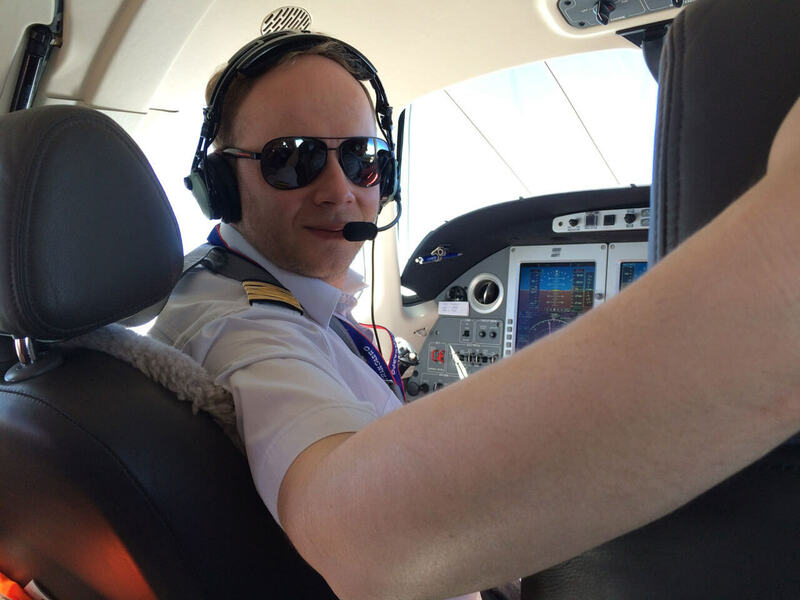 Alex is FAA and EASA licensed commercial pilot and psychologist with a degree in Psychology from Jerusalem University. He got inspired to help people get over their fear of flying when he decided to help his own girlfriend. After a couple less than successful attempts at calming her down and mitigating her aerophobia, it dawned on him how little he knew about this affliction despite his formal knowledge and experience. When he dug into the literature on the subject, he realized that treating aerophobia was its own full-fledged scientific branch. This was how Alex began his journey to become the founder and developer of aerophobia treatment programs. Taktik Labs is an IT company specializing in creating and promoting retail services They have collaborated closely with the minds behind many innovative ideas and products, providing companies with the technological, marketing and financial capabilities to quickly launch, test and scale projects. Taktik Labs portfolio contains projects spanning the fields of law, education, medicine and aviation. Over the course of his work with anxious passengers, Alex came to the realization that, regardless of what classes an aerophobe may have taken, what really helps in the moment is having an expert right there to offer support, calm nerves and explain what is going on during the entire flight process. After flying with fearful flyers thousands of times, Alex was convinced that experts were saying the same exact thing as he was in both study and practice. Based on this discovery he became inspired to help battle flight anxiety using smartphones so that every man and woman who got stressed out on planes would have their own virtual pilot at their side explaining the ins and outs of what was happening on board. The beauty of SkyGuru is that it provides in-flight commentary in real time. It keeps you abreast of the weather and explains how changes might affect the aircraft, warns about areas of turbulence and sheds light on various flight processes. SkyGuru elaborates on external circumstances (weather, turbulence, etc.) and provides commentary on the flight in real time. The app provides some information about less shaky seats and explain center of gravity logic. In other words, SkyGuru creates the feeling that everything is running according to plan. The level of passenger anxiety and discomfort is significantly reduced when they are well informed. 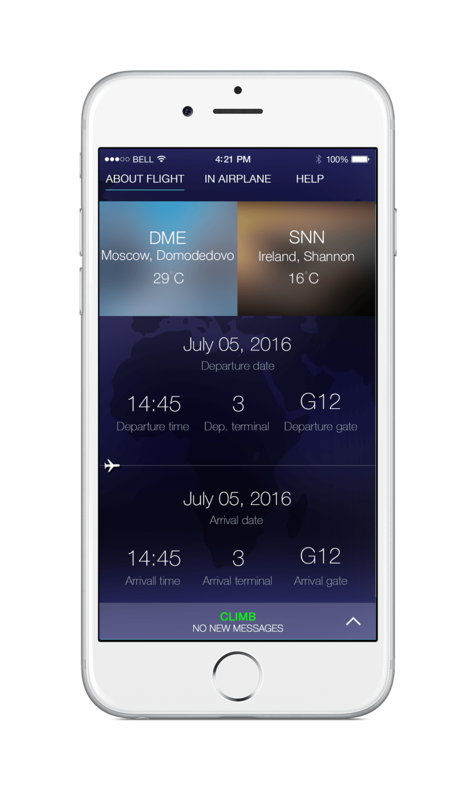 Users can enter their flight number, date and departure time in SkyGuru any time before the flight leaves (please be sure your iPhone is connected to Internet), be it a full day or just half an hour before takeoff. 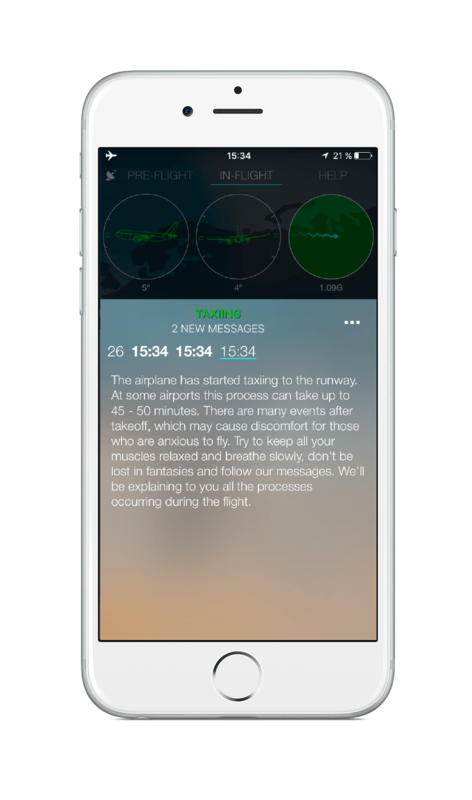 SkyGuru then starts to monitor the flight, gets to know the user and offers some preliminary hints, such as an explanation of what it is capable of helping with and suggestions for where it is best to place the phone when on board. In order to give users the most accurate forecasts possible, SkyGuru links up with a database to analyze the last seven flights from your location to the destination point and receives the most up-to-date weather forecasts available based on professional aviation meteorological data. A half-hour before takeoff SkyGuru clues users in regarding weather on the runway, how it should affect their flight, and other things passengers should be expecting when the flight takes off. Once inside the cabin, users place the phone where instructed and activate airplane mode for the remainder of the flight. SkyGuru can operate in this mode because it has already created its map as a mathematical flight model based on previous flights and current weather conditions. 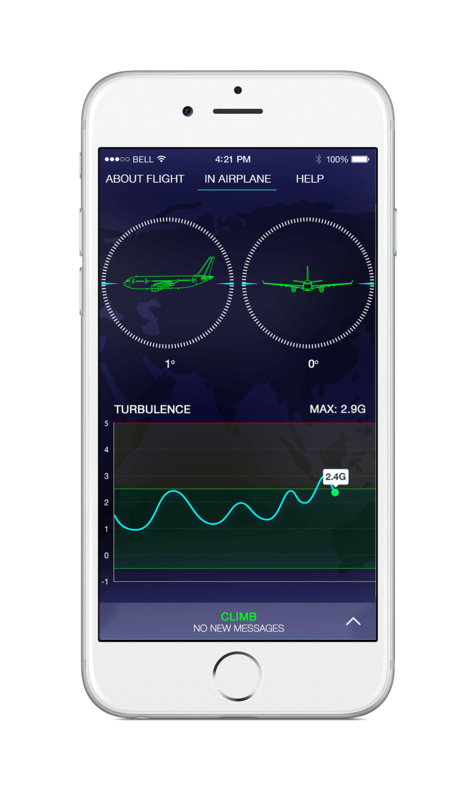 The app can now predict where turbulence and ice accumulation area should be expected, how powerful and in what direction wind will be blowing, and the presence of other relevant meteorological phenomena. The app relies on the mobile phone’s data transmitters to confirm SkyGuru weather forecasts and help adjust the description of current meteorological circumstances. SkyGuru is constantly working to find out what is happening at any given moment and why, and never stops sharing interesting information about aviation that has a calming effect on anxious passengers. 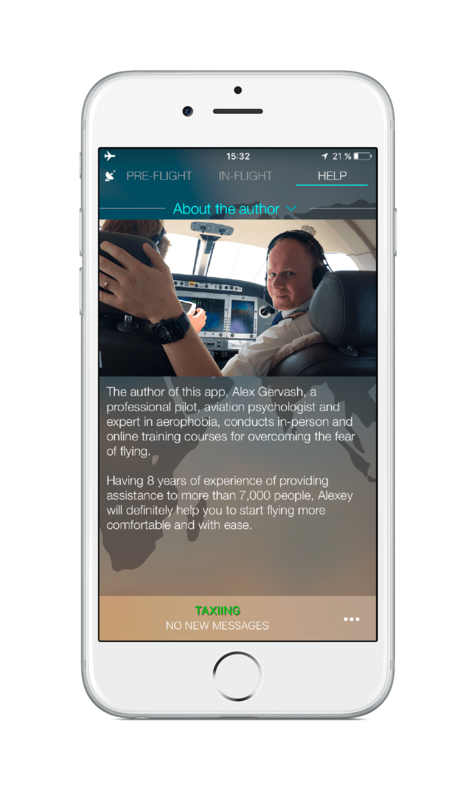 SkyGuru acts just like the pilot would if they happened to be next to an anxious passenger and wanted to alleviate their stress. The only real difference is that pilots are a far second to SkyGuru when it comes to understanding what an aerophobe is actually afraid of. 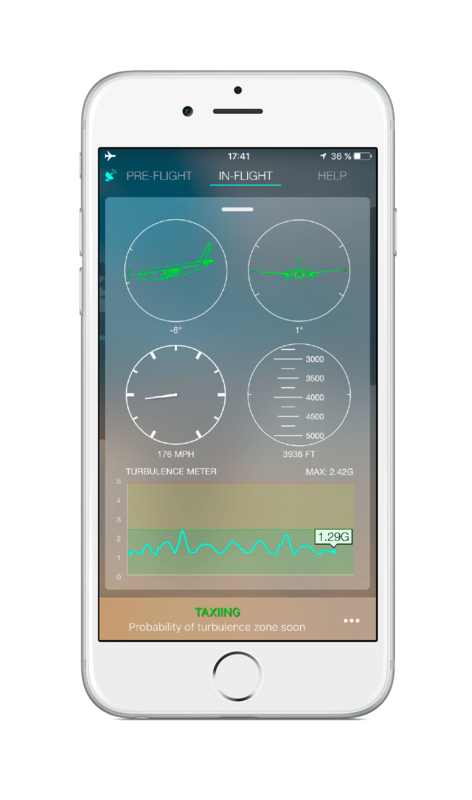 SkyGuru is designed to inform and ease the anxiety of anyone who finds flying psychologically taxing. Thanks to this app passengers feel as though they are not alone on board, that someone is looking after them and is there to explain what is going on and offer them a helping hand. The user receives updates, but SkyGuru is designed in a way that only one message comes within 20 minutes. 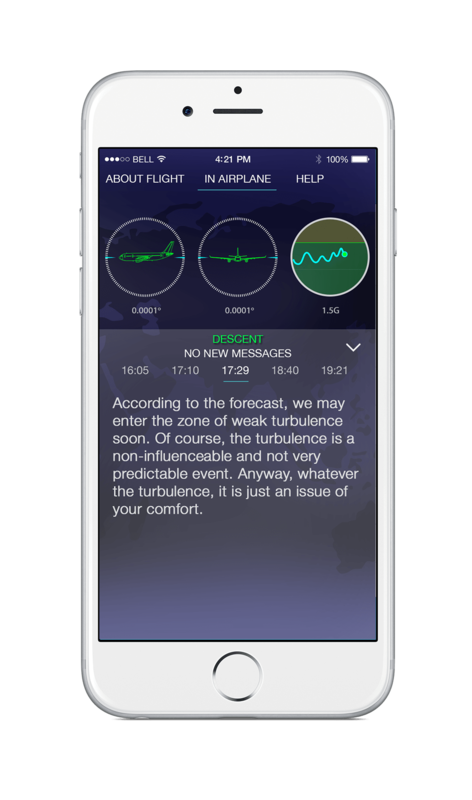 The practice showed the app developers that it doesn’t make sense to tell user “It’s turbulence, but it’s safe” too often.